First off I want to point out that both of these guns I have already reviewed in slightly different cosmetic versions. 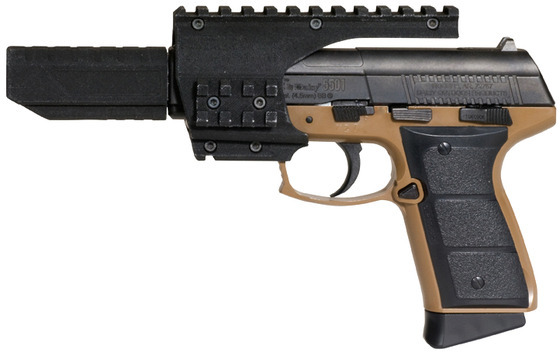 The Umarex Beretta M92 A1 Desert Storm is essentially the same gun as the Umarex Beretta Mod. 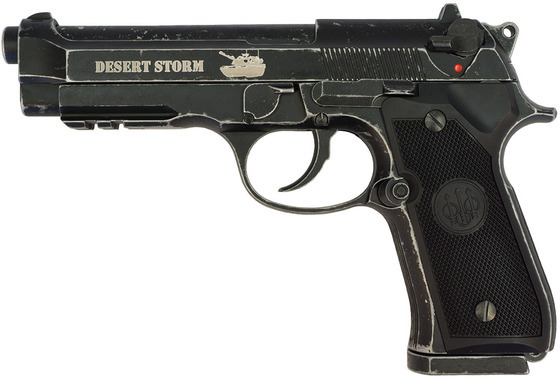 92 A1 Blowback CO2 BB Pistol but with a distressed aged look and the Commemorative Desert Storm licensing on it. Similarly the Daisy Powerline Tactical 5502 CO2 Blowback BB Pistol is based on the chrome framed Daisy Powerline 5501 but the Daisy Powerline 5502 comes with a sight rail and compensator. Check out my other reviews for the Daisy Powerline 5501 and Umarex Mod. 92 A1. In this video I show you around both the Umarex Beretta M92 A1 Desert Storm and Daisy Powerline Tactical 5502 CO2 Blowback BB Pistol and compare them to their significant similar versions. I talk a bit about specifications but this is a preview video so I don't go into full details. I hope to add some follow up reviews especially a comparison shooting video between the Daisy Powerline Tactical 5502 and Daisy Powerline 5501 since there is a barrel length difference that may give the Powerline 5502 an FPS performance advantage. I will leave you now with some specifications for both guns.